It’s getting hotter -and it’s hurting our stunning marine environment! A lot more at the above link. Here is the gist of the article on WA today, also responsible for reporting some of the previous bulldust on sea level rises and hot oceans causing sharks to eat people! 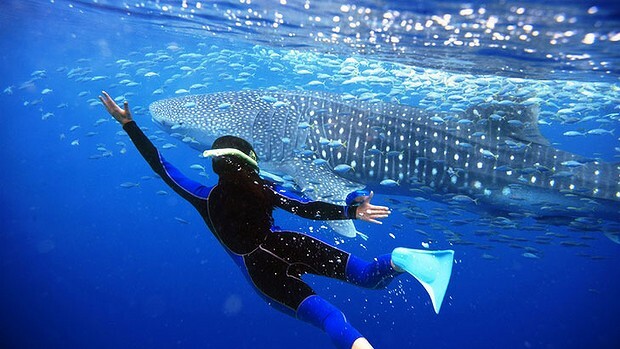 Ningaloo Reef, off WA, was hit by an ‘ocean heatwave’ in 2011. A marine heatwave off Western Australia that killed fish and bleached coral was driven by unusual features in a warm ocean current, new research shows. During the 2011 heatwave, water temperatures were more than three degrees Celsius above long-term seasonal averages. At the peak of the event, for a two-week period, water temperatures climbed up to five degrees Celsius above long-term seasonal averages. 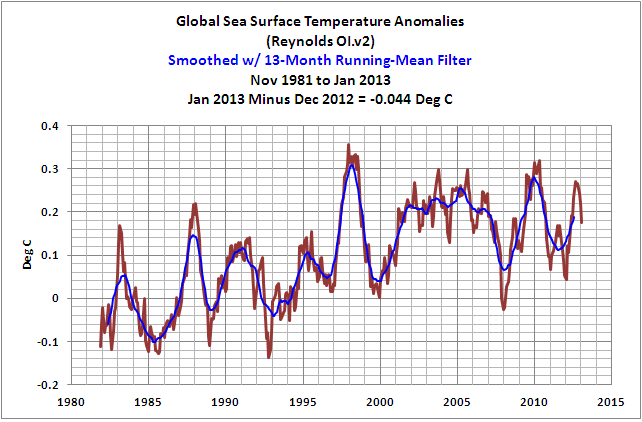 Here are the figures for SSTs up unti January 2011 from Bob Tisdale. The temperatures were not even as high as 1998 off the North West. This entry was posted in Climate, comedy and tagged bob tisdale, climate change., climate science, comedy, environment, greenhouse gas emissions, media, nature, research, science and technology, temperature rise, wa today, weather. Bookmark the permalink.